GRANO combines fresh natural ingredients, farmed using organic and biodynamic techniques, to create a contemporary cuisine that respects the roots and traditions of Italian cooking. By sourcing our ingredients from small Italian food and wine producers, it is our mission to contribute to the preservation of local food cultures and the revival of ancient cultivation techniques. Great little spot! Very cosy and great atmosphere. Food is delicious but they could expand their menu as they grow! I'll definitely go again! Fantastic traditional Italian food. Ingredients were of such good quality. A cosy restaurant with lovely service, great wines and good value. Highly recommend. Overall average, was expecting more. Mains lacked seasoning, quality of pasta is good. Portions were very small and a little overpriced for what they were. Have had better Italian food. The service was impeccable though. Gorgeous, cosy restaurant. Food was delicious and service great also. Such a welcome addition to Stoneybatter. Bhí an bia anseo go deas. Bhí sé blasta agus ag deireadh na hoíche tháinig na hoibrithe amach agus shuí siad síos a ithe béile blasta a rinne said féin. Dea-chomhartha. I’ve been meaning to try this restaurant for awhile and it didn’t disappoint this evening, the food was amazing. Keep up the great work! Great ambience and overall a very relaxing evening. Falling down in service which is a shame. 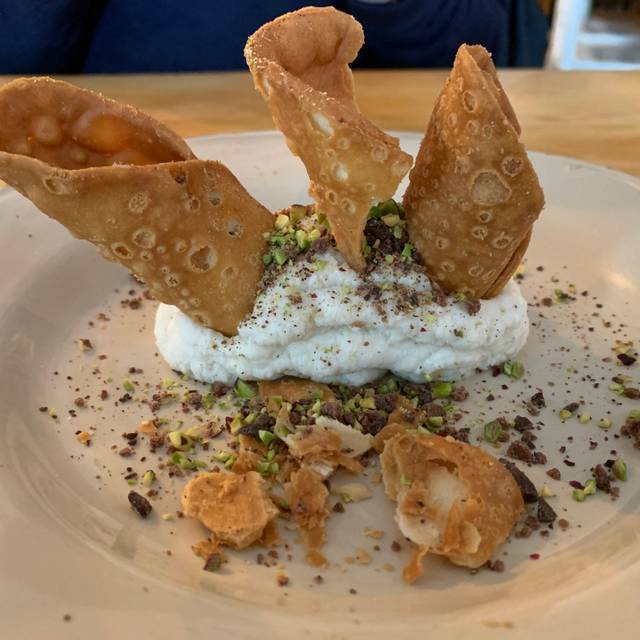 The restaurant is more than adequately staffed and they are all really nice people however my & neighboring tables had to constantly beckon waiting staff in between initial drinks order, starter, main, dessert and bill for service! Beautiful food, wine and service. We will be back very soon. Go there guys and try! Was looking for a quiet enough, chilled place with good quality food to catch up with old friends. 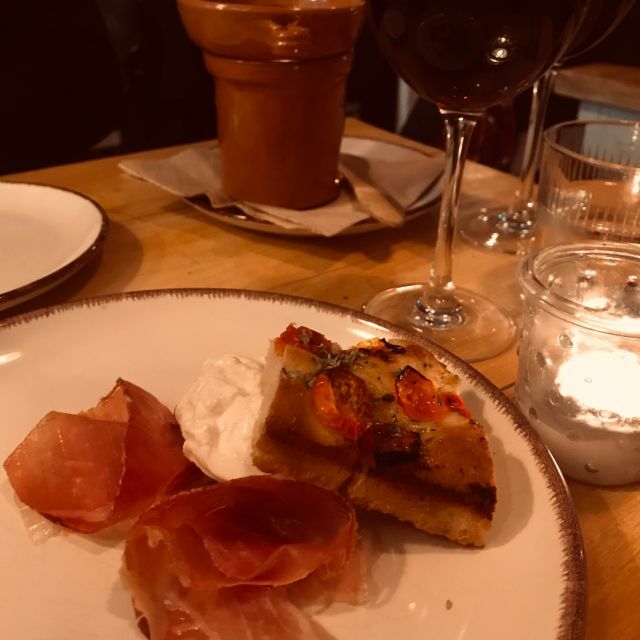 It was a relaxed atmosphere, wooden tables and casual enough, but the kind of place you could arrive dressed up or down and it wouldn't matter. My food was very tasty - lovely Buffalo mozzarella starter and a pork main course. The pasta went down well with everyone. Fresh produce and tasty. Staff very pleasant. Wines by the glass were good value and quality. 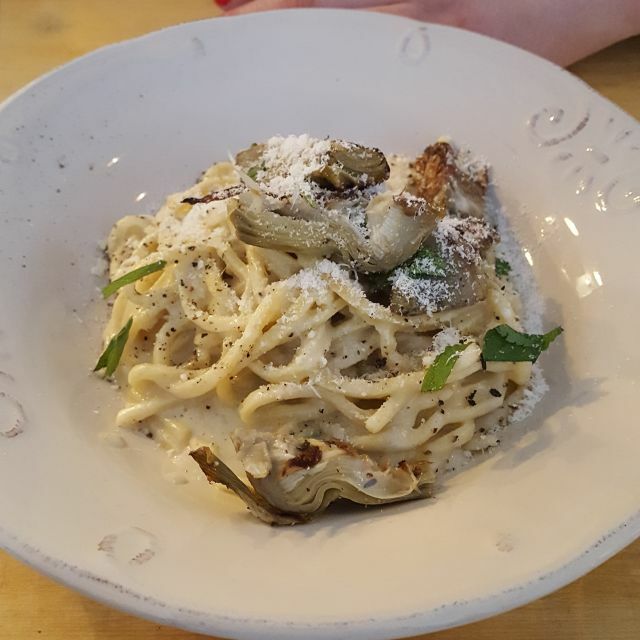 Fantastic pasta and the staff were absolutely delightful! Food was incredible. This restaurant is a real local gem. Great Italian restaurant. High quality and great price. Fantastic food, wonderful ambience. A proper slice of Italy. The food wasn’t outstanding, the wine selection was gorgeous and very good value and the service top notch! We’ll be rushing back. This was my first visit. I had attempted to book a Friday evening a few weeks prior and they were booked out. I booked this visit for a Tuesday evening and it was booked solid that night too with people being turned away throughout the evening. Booking well in advance is recommended. I really enjoyed the food, simple but tasty flavours, and the house red was lovely. 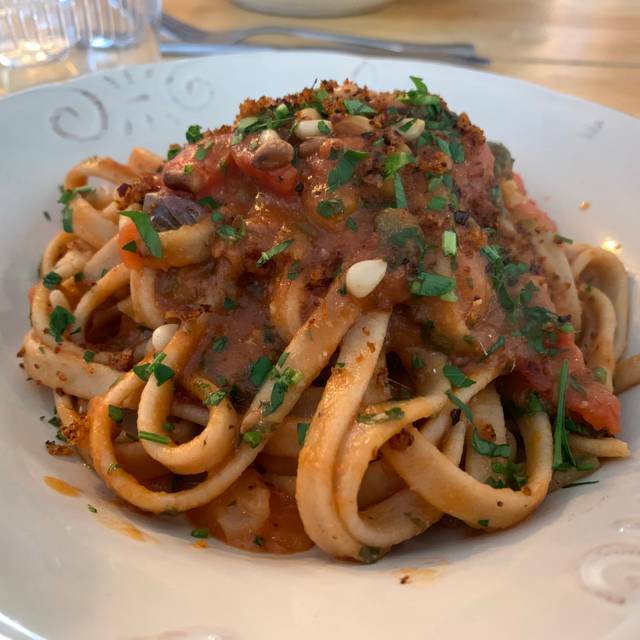 I ordered the Zuppa Di Orzo Perlato and the Parmigiana Di Pesce Spada with a side of Tender stem broccoli alla nduja and sampled the Tiramisu and the Salame al cioccolato. All were delicious, though the nduja was quite spicy so avoid if you struggle with spices. I didn't have any pasta so will be returning to sample a pasta dish. Just one admin related note, the menu listing on OpenTable lists a price of €19 for the Parmigiana Di Pesce Spada but it was €26 on the bill and the menu in the restaurant. Great restaurant. No pretentions just excellent, well-cooked food sourced with care. Great value too. Amazing food and service really enjoyed. It's lovely restaurant and great choice on the menu. Lovely place, great pasta. Very nice wines. Highly recommend. Amazing food and wine!! Would highly recommend. Just one word of warning - do not order the vegan pasta. My poor husband really lucked out ordering that, it was extremely watery, had no flavour and he struggled through it. However everything else was amazing and we will be back.....just not for the vegan option. Good traditional Italian food without any pretensions. Service good if maybe a small bit fast. Room could do with a slightly lower number of lumens to improve the ambiance. It was like been in Italy, the food was fantastic, lovely to see a great restaurant nearby, will be back . The conolo was delicious . When the door is fixed it will be very cosey, please do that ASAP. Fab food, amazing wine and excellent service. Can’t wait to go back! 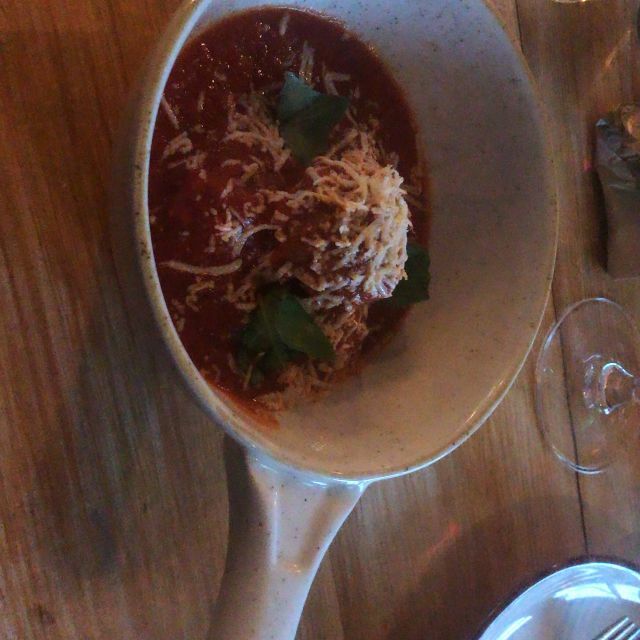 We had a wonderful meal in Grano last Saturday night. The food was superb. The restaurant itself was really cosy and had a great neighbourhood feel to it. We really enjoyed watching the pasta being made at the counter while we were having our meal. I would highly recommend the tiramisu. Great wine list also. Really delicious Italian food, wonderful service and great wine. Would highly recommend!